Punk Rock Parents: "Call Me Sister Bear"
A month or so ago I read to Louie "The Berenstain Bears and the Messy Room" one night. It was the first time that she sat still and paid attention to an entire story. She immediately asked me to read it again. From that moment the kid was hooked on this family of bears. 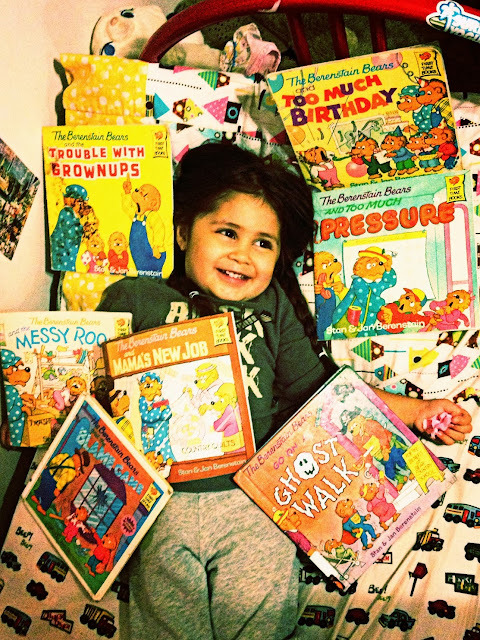 She was lucky because thanks to our pal Crystal the kids had a stack of Berenstain Bear books on their shelf (Don't worry Charlie we are taking good care of them for you!) We even have checked out a few different ones from the library. Our nightly routine has become reading a couple of books and then watching an episode of the Berenstain Bears show on my tablet from Sprout On-Demand. (Technology man!). Both girls love this. Louie is so obsessed that she insists that I call her Sister Bear. 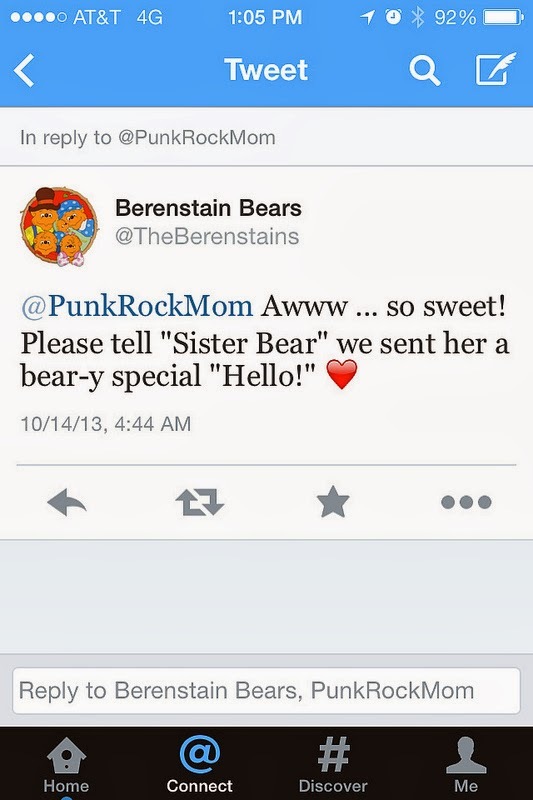 Of course I am Mama Bear, Joey is Papa Bear and much to her disappointment Phi is Brother Bear. 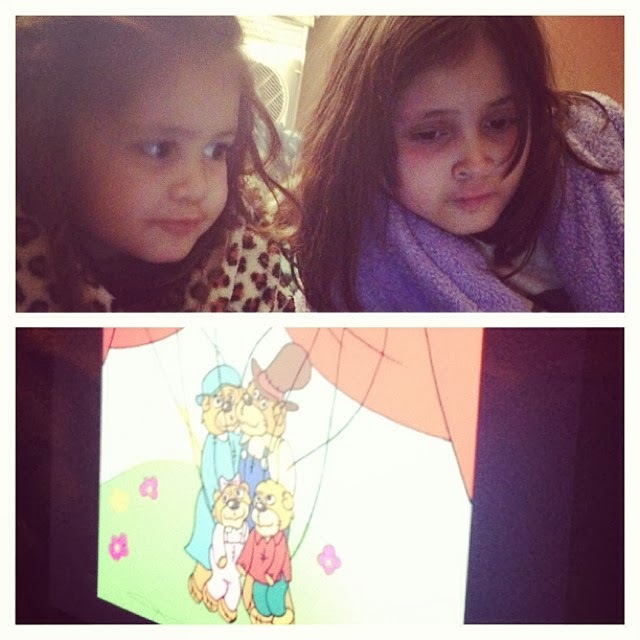 I tweeted this picture of the girls watching an episode the other day. Louie flipped out and of course now she is even more obsessed.